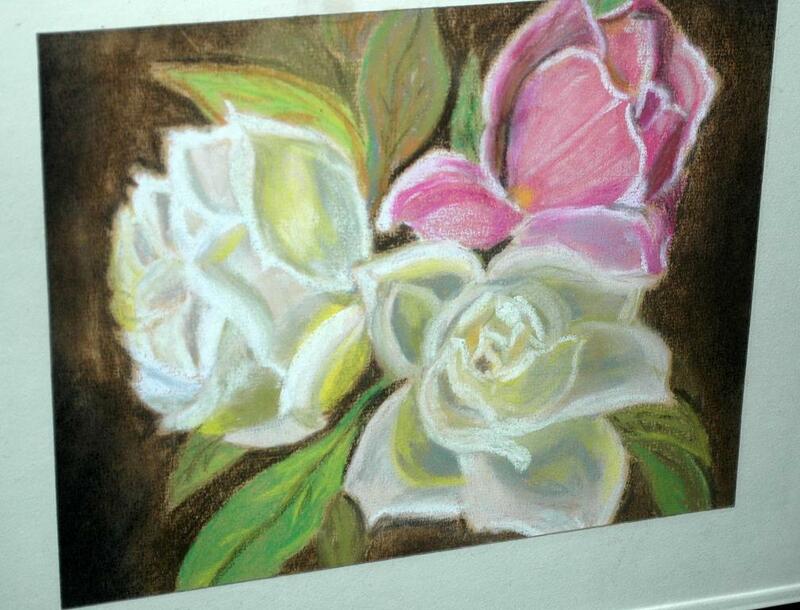 Beautiful Pastel Painting of Big Roses. It is unsigned but I have not had it out of the frame to see if there is a signature just out of view. 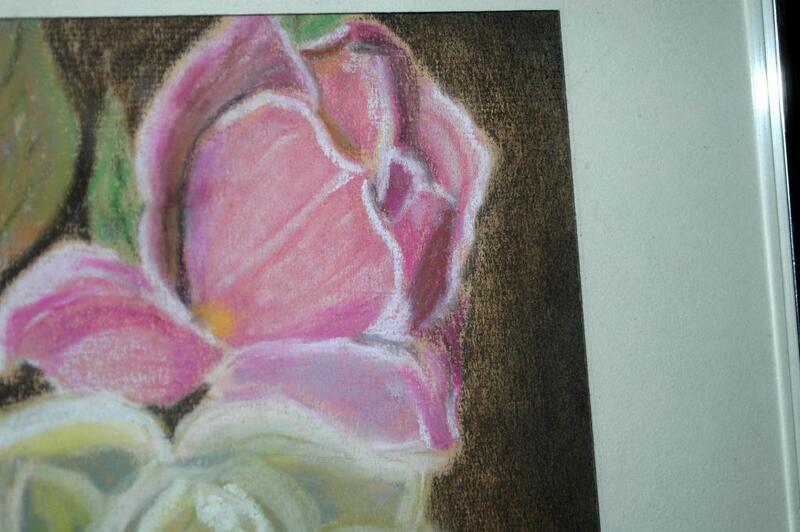 The painting is 9.5" x 7.5". 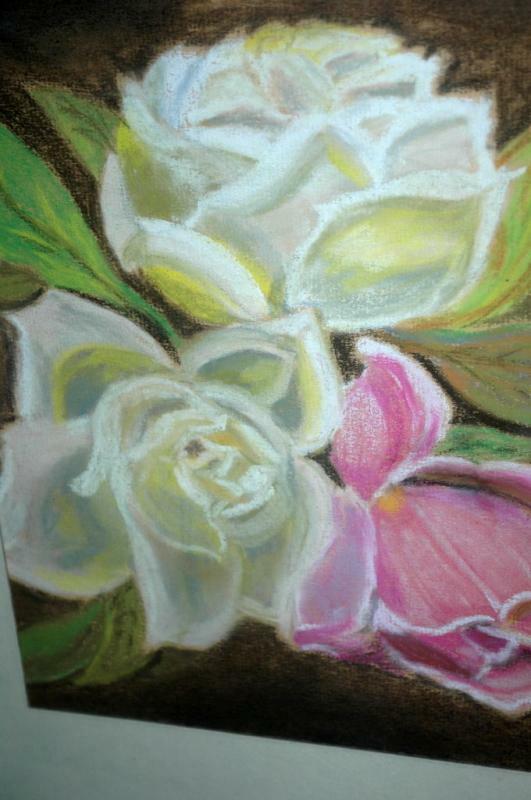 The frame is 11.5" x 14.5". The frame is a silver colored metal. The mat has some crinkle on the one side and there is some smudging on the top . I don't know if it under the glass or on the mat itself. 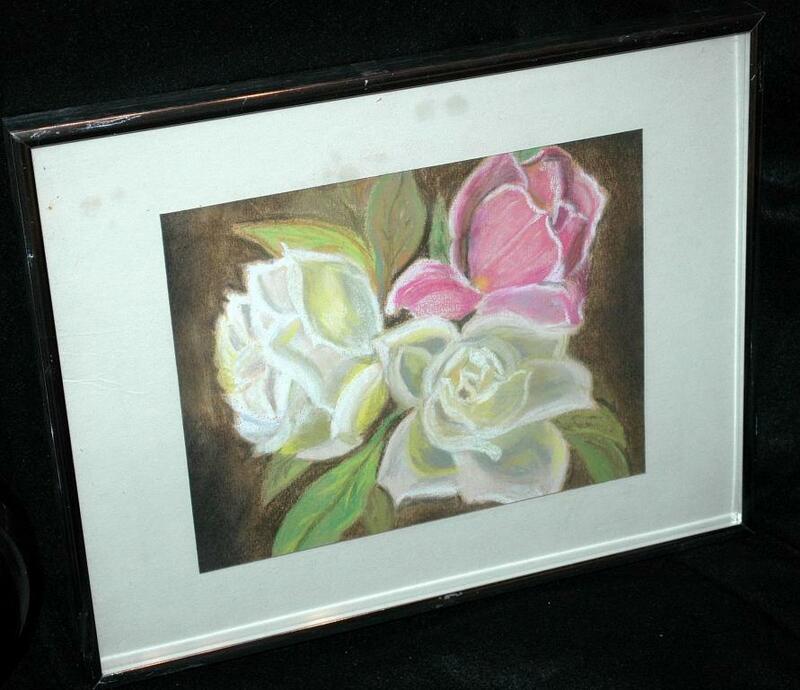 Items Similar To "Pastel Painting of Roses, Original Art, Framed behind Glass"